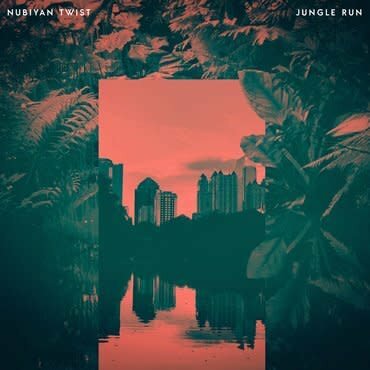 Strut proudly present the brand-new studio album from Nubiyan Twist, Jungle Run. Now one of the leading lights in the UK’s new generation of soulful, genre-fluid artists, the Leeds-born and now London-based 12-piece collective have created their finest recordings to date, effortlessly weaving together elements of jazz, soul, hip hop, African styles, Latin, dub, hip hop and electronics in a flow of thought-provoking and life-affirming music. Recorded at the band’s own self-built Henwood Studio in rural Oxfordshire, the album effortlessly moves through different voices from the band’s circle. The inimitable, timeless vocals of Nubiya Brandon lead the way on the album’s title track about breaking preconceptions and promoting equality, Where you from? I’m from wherever I be. Saxophonist Nick Richards vocals the killer first single from the album about inner turmoil and a search for the truth, Tell It To Me Slowly while rising Ghanaian star K.O.G. appears on the Afro jams Basa Basa and They Talk. Percussionist Pilo Adami (Nina Miranda / Afrosamba) voices the infectious bossa-jazz jam Borders. The band also draft in two African legends for guest duties with the original Afrobeat maestro Tony Allen on Ghosts and Ethio jazz pioneer Mulatu Astatke contributing vibes on the sinuous Addis To London.